Observed in on the grounds of the Kitale Museum where there is an agroforesty plot. Kenya, January 2012. Many small birds are difficult to identify. This one due to the shade of gray and the bright, distinct eye ring is relatively easy. Common in highland woodlands and gardens. 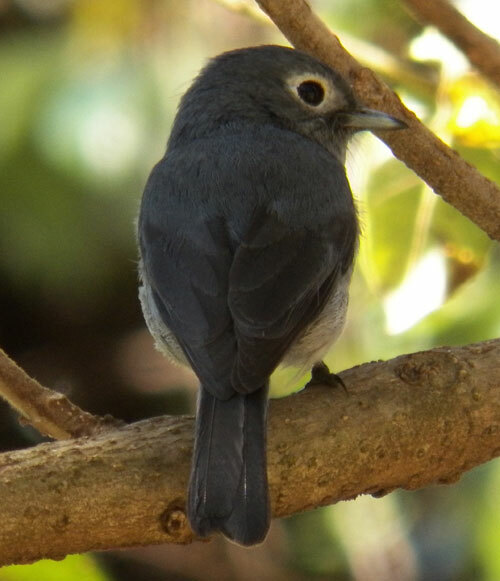 Like other flycatchers, they maintain an upright, alert posture when scanning their habitat for insects. Often they pluck the insect from the ground or foliage without alighting and then return to their perch to eat it and continue hunting.